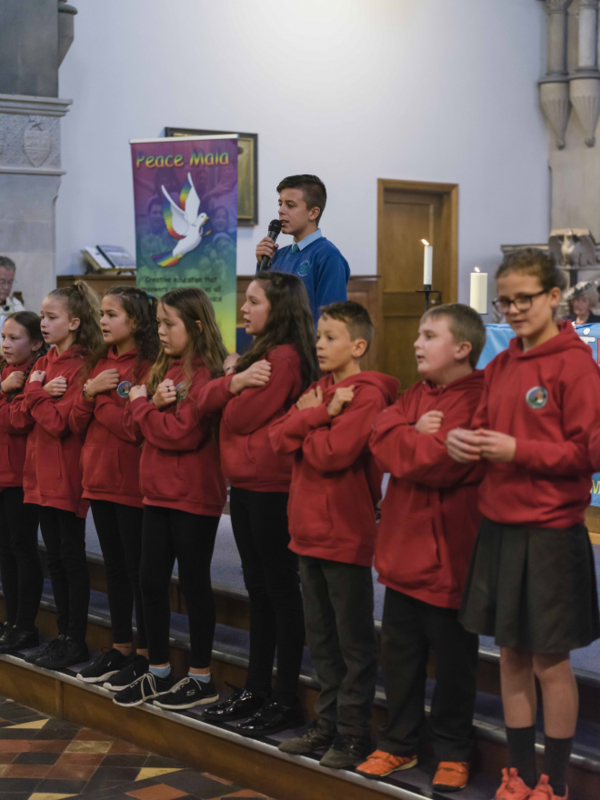 On the United Nations day of peace 2018 Peace Mala held a Youth Liturgy for World Peace at St David’s Church, Neath. 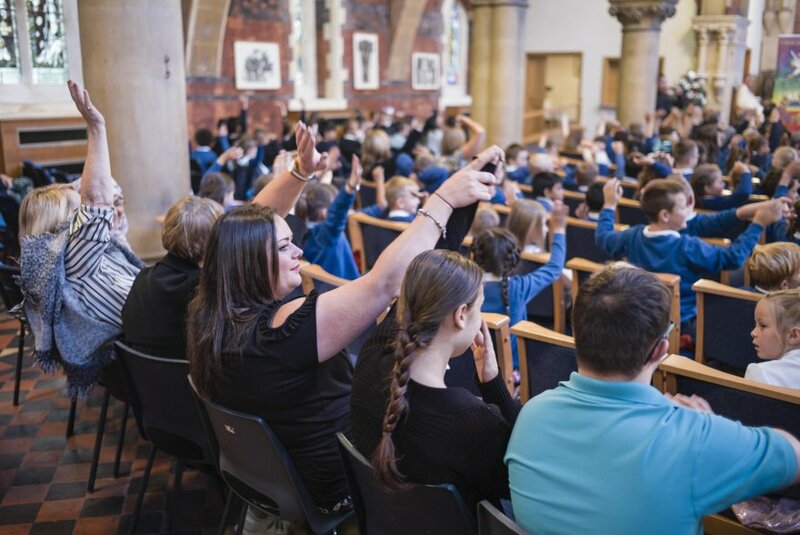 We were joined by the Most Reverend Archbishop of Wales, John D E Davies, along with local dignitaries, 11 Primary Schools, 9 representatives of various faiths. Together we stood in unity against religious intolerance, racism, sexism, xenophobia, homophobia, bigotry, prejudice and bullying of all kinds. 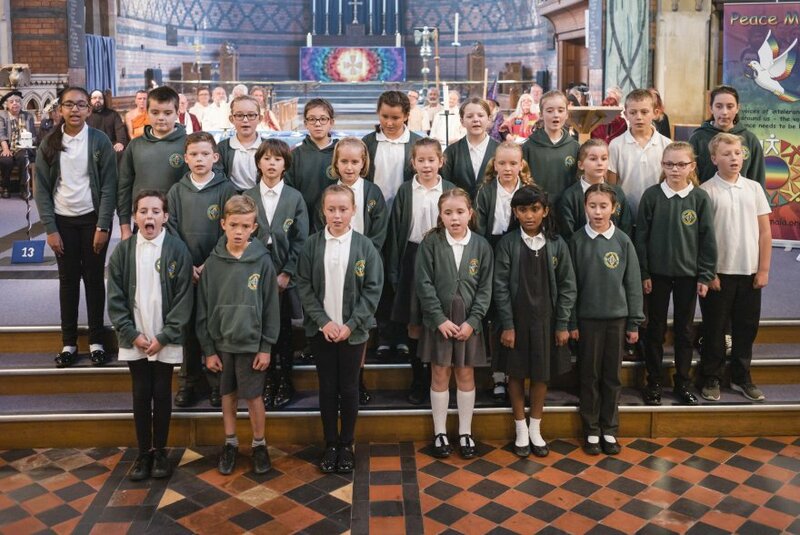 We are very grateful to the benefice of Neath in the Diocese of Llandaff for welcoming us on this occasion. Representatives from all the different faiths gathered entered the church in procession, entering together and sitting side by side in a true sign of community and peace. 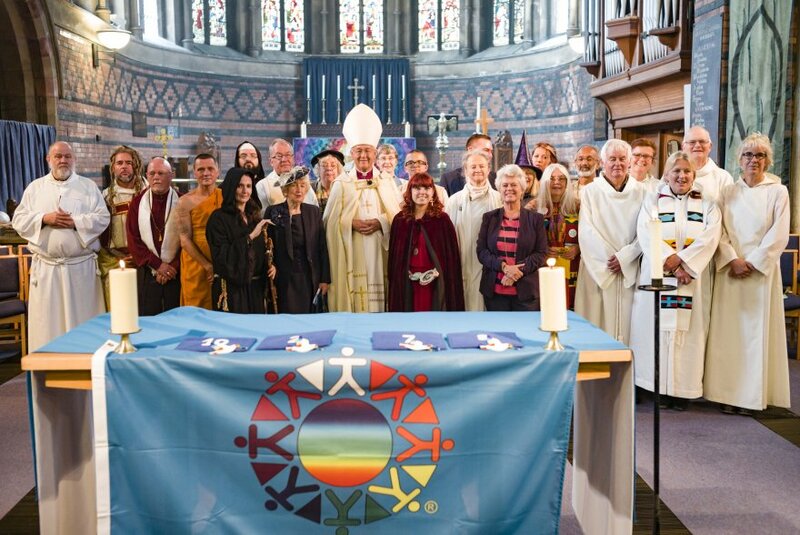 The liturgy began with words of welcome by Reverend Lynda Newman of the Rectorial Benefice of Neath the Peace Mala prayer for World Peace was recited. 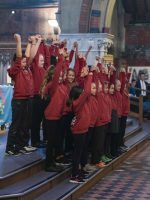 Jennifer Davies of Christchurch Primary School shared an excerpt from the Old Testament followed by a a beautiful rendition of ‘You are my brother,’ sung by students of Catwg Primary School. Hassan Miah from Hafod Primary School recited the Koran’s Ayat ul-Kursi, before students of Alderman Davies and St Joseph’s Catholic Primary School Clydach shared the peace messages of the faiths represented on the Peace Mala bracelet. 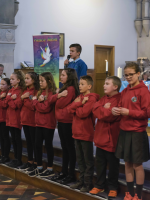 The liturgy reached an inspirational high when children of all schools came together to sing the Peace Mala anthem, ‘One Light,’ composed by Lee Michael Walton, with lead vocals by Brad Jones of Ysgol Gyfun Ystalyfera Primary School. Lee himself traveled from London to be with us and delighted us all with his musical talents on the piano and organ. We offer warm thanks to all schools, dignitaries and faith representatives who were involved, with special gratitude to Reverend Lynda Newman and the staff of St David’s Church for their kind support and help. 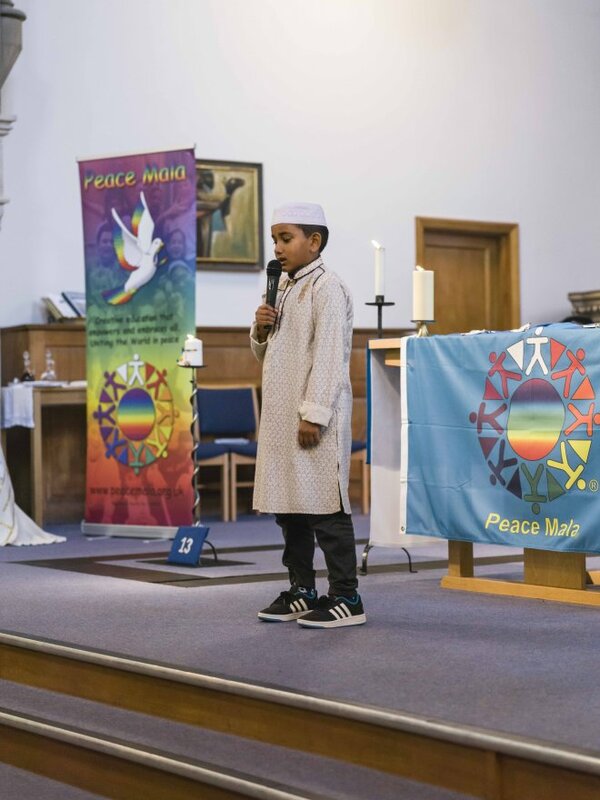 Now Peace Mala are very much looking forward to the next Inter-Faith Liturgy for World Peace, to be hosted in Brecon Cathedral 16th September 2019. If you want to be involved in this event please let us know via phone or email so that we can reserve your place inside the Cathedral.